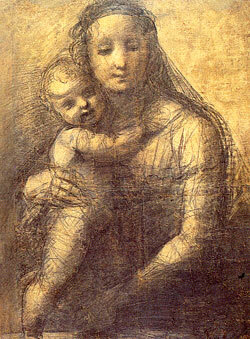 The Virgin and Child, Raphael, black chalk, with a few touches of white heightening, c. 1512-14. The American Friends of the British Museum is a publicly supported, tax-exempt organization organized under section 501 (c) (3) of the United States Internal Revenue Code and is eligible to receive tax deductible charitable contributions within the limits prescribed by law. 100% of your donation will be used to support the programs of the British Museum. Donate Now Please note that 100% of your credit card donation is tax deductible within the limits prescribed by law, but a 4% service fee is deducted by NY Charities, the credit card processor, to cover their expenses. Please call the American Friends of the British Museum office at 212-812-4362, or contact the Administrator, . Please note that, in conformance with IRS guidelines, American Friends of the British Museum cannot accept contributions that are earmarked or required to be distributed to the British Museum or any other organization. The Directors of the American Friends of the British Museum have complete discretion and control over the ultimate disposition of any contributions received by the organization. While donors may suggest that their gifts be used for a specific purpose, these requests are non-binding on the American Friends of the British Museum. This ensures that gifts made to the American Friends of the British Museum are tax deductible and that American Friends of the British Museum fulfills its duties and obligations as a U.S. tax-exempt organization under section 501(c)(3) of the Code. Donors may make unrestricted contributions to the American Friends of the British Museum, and in these cases, the Directors will determine the manner in which contributed funds will be used.